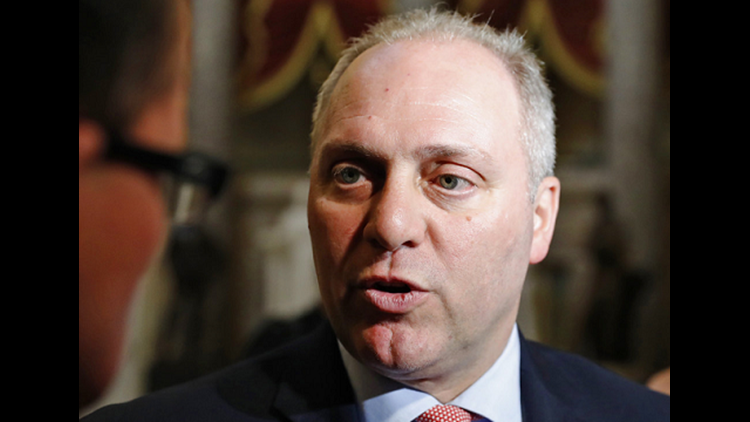 WASHINGTON (AP) — A person close to wounded Rep. Steve Scalise says the Louisiana Republican has been moved out of a hospital intensive care unit. The person says Scalise was moved late Thursday, but had no other updates on his condition. The No. 3 House GOP leader, Scalise was shot in the hip on June 14 when a gunman opened fire at a baseball practice of Republican lawmakers in Alexandria, Virginia. Four others were also wounded, and the attacker was killed. Doctors said Scalise was near death when he arrived at the hospital. Scalise is at MedStar Washington Hospital Center, which said earlier this week that Scalise is in fair condition. The person who provided the information not authorized to discuss it publicly and spoke on condition of anonymity.